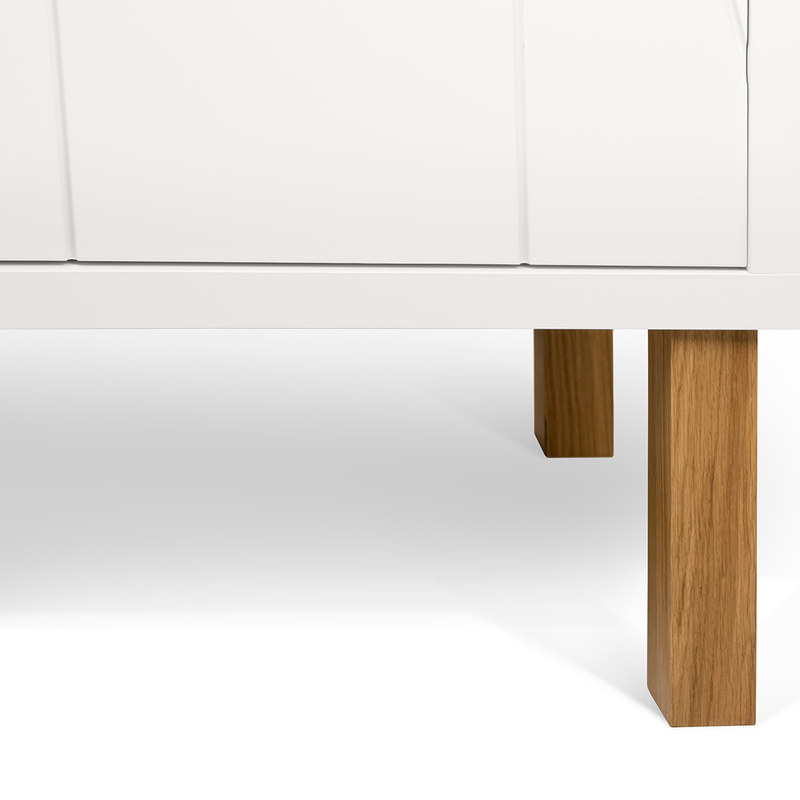 Niche with feet is a minimal piece that appeals for its functionality. It is designed around its niche, from where it gets its name. 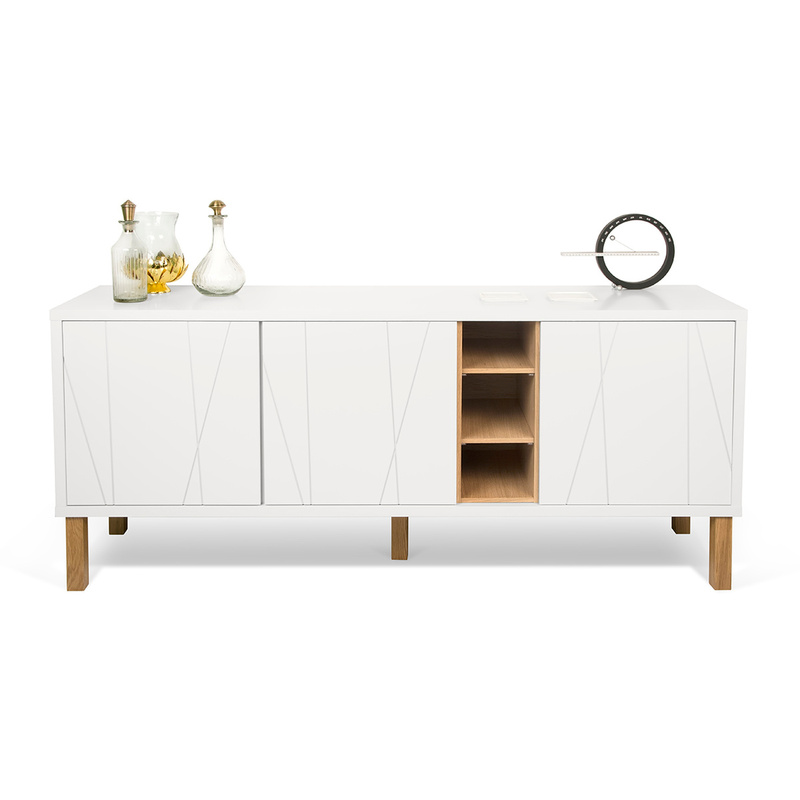 This designer sideboard includes 3 doors with a push-to-open system, and 1 open cabinet with 2 shelves. Behind each door is one shelf. 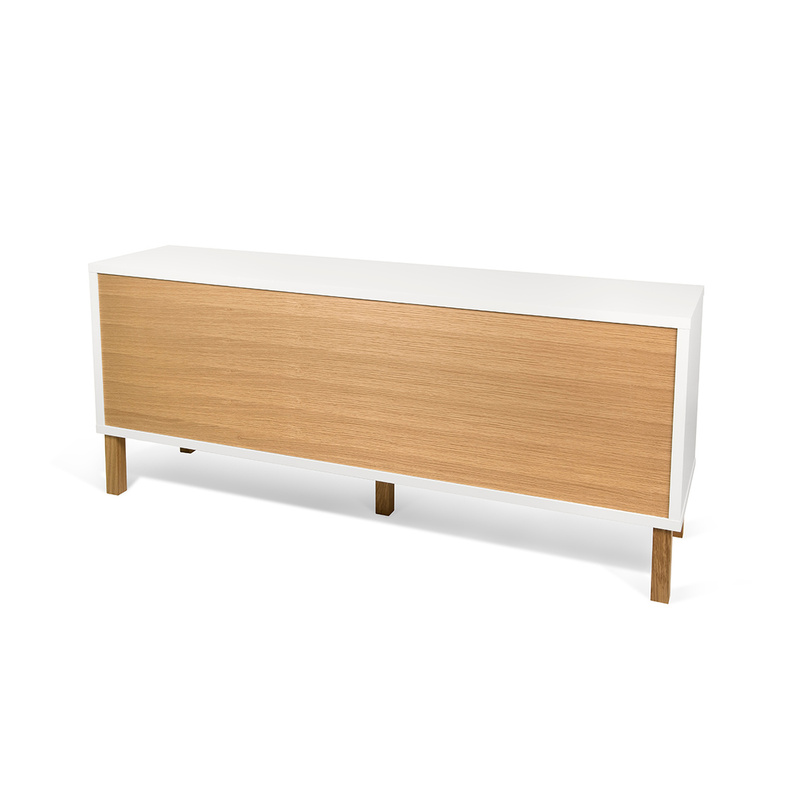 The Niche sideboard boasts an extremely refined style. White contrasts with the wooden niche, creating an interesting visual effect. 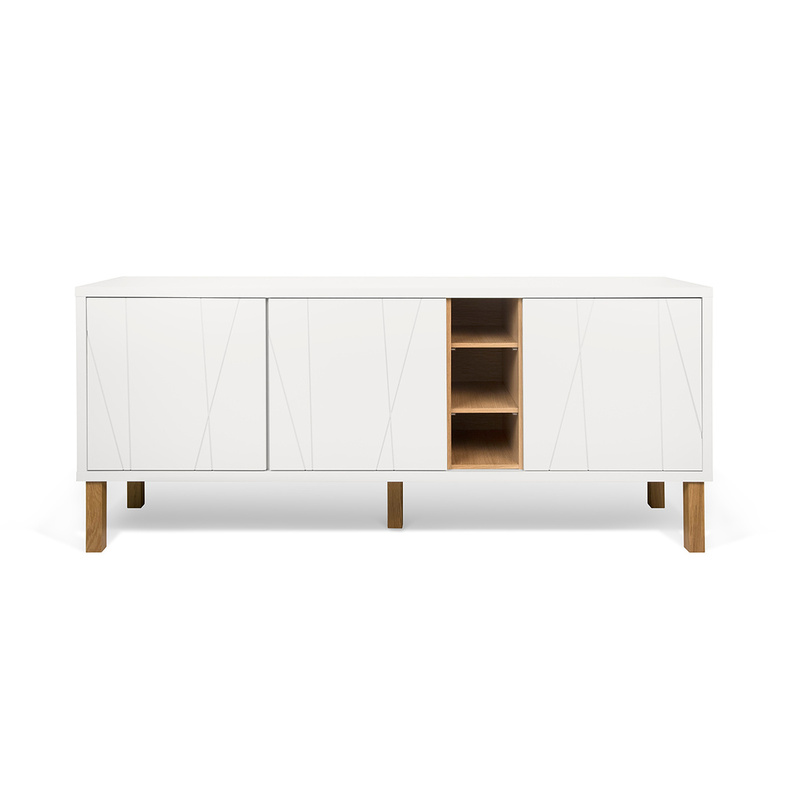 At the same time, its minimalist white doors are enriched by vertical etchings with a purely decorative purpose. This way, a simple furnishing item becomes a sophisticated decoration accessory for your home, worth using not only for its functional vocation, but also for its ornamental power. 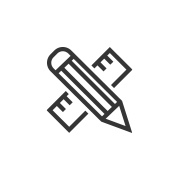 TemaHome counts with more than thirty years of experience in the furniture and lifestyle industry, having points-of-sale spread throughout thirty different countries around the world. It was firstly founded in 1981 as “Norema Portuguesa,” resulting of the junction of two companies: the Norwegian Norema SA and the Portuguese Mendes Godinho SA. 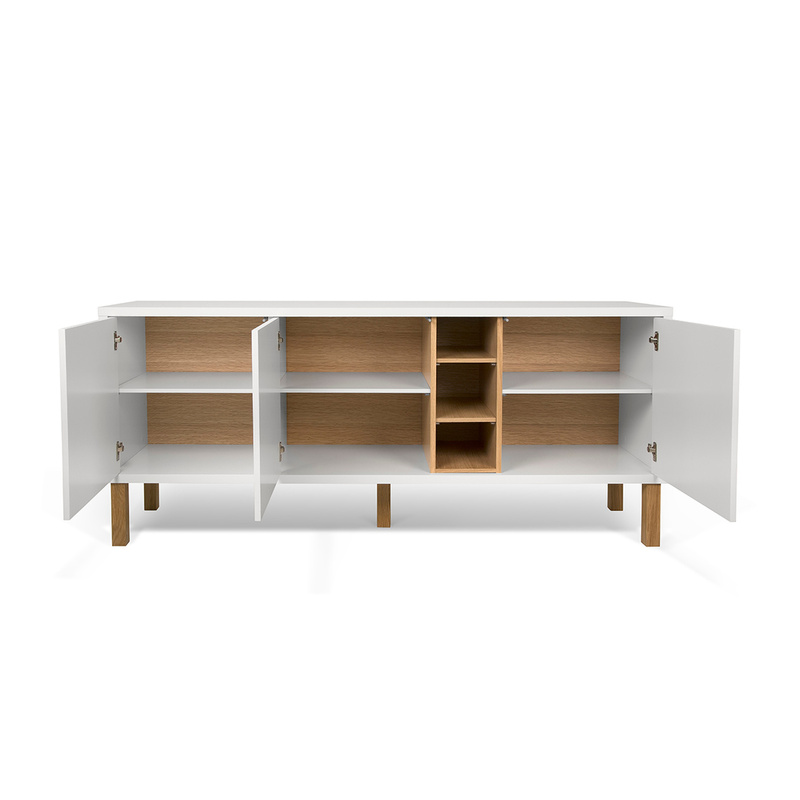 Together, their aim was to combine Norway's high technology, with the Portuguese efficiency at reasonable costs for furniture production. 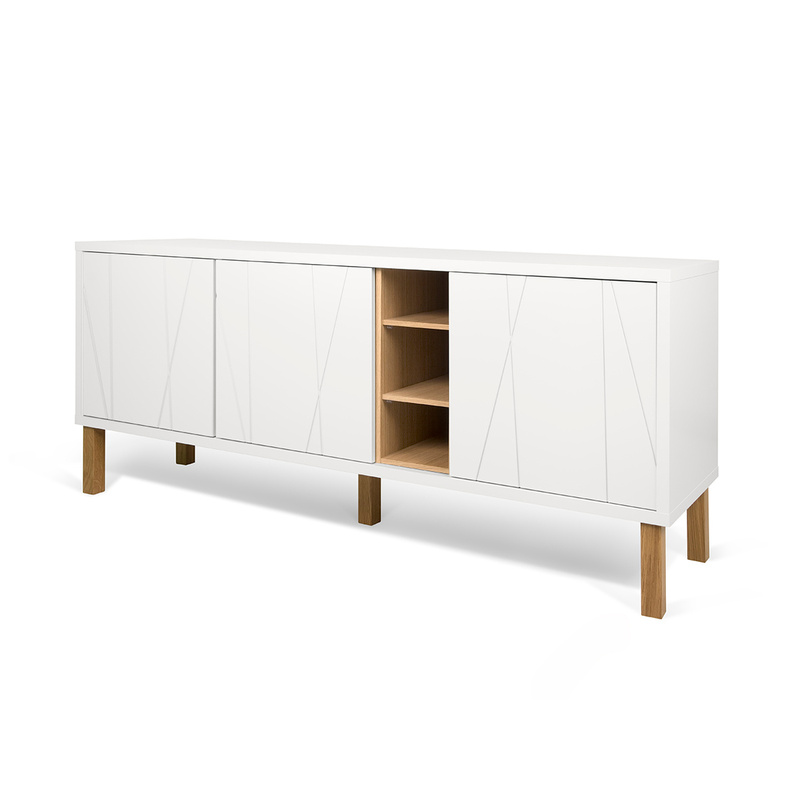 Designed by Nuno Rosa, this product needs to be assembled (with assembling instructions). Clean with a dry or slightly damp cloth. In order to prevent cracking or degradation, use a clean dry cloth to wipe off any excess humidity. Product designer at TemaHome, Nuno Rosa is since an early age fascinated by the world of objects. During his high-school years he studied arts and developed an interest in drawing, leading him to pursuit the industrial design course at Escola Superior de Artes e Design in Caldas da Rainha. Nuno is a part of TemaHome's team as from 2012, and since then he has been an essential element on the development of some of the company's products. For him, a product's utility should take centre stage during the design process, as he believes all objects should first and foremost be practical. He doesn't follow a particular designer or style, but instead, draws his inspiration from objects he comes across in his daily life.